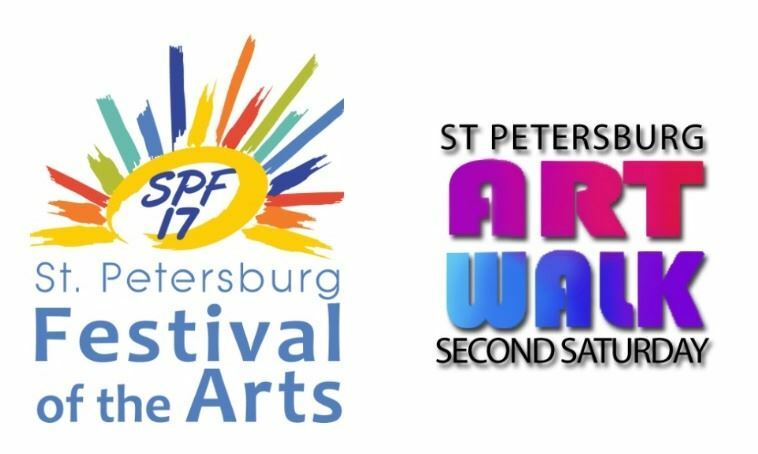 ST. PETERSBURG FESTIVAL OF THE ARTS! DUE TO THE UNCERTAIN PATH OF HURRICANE IRMA, THE TROLLEYS WILL NOT BE RUNNING FOR ARTWALK THIS COMING SATURDAY EVENING. Many galleries and studios will also be closed so please check with your favorite gallery/studio for any further details and see below. Celebrating St. Petersburg’s well-known reputation as a leading arts and cultural destination, a celebration of the arts will be happening throughout September. As part of the Festival of Arts, explore and enjoy St. Petersburg’s five exciting arts districts. Open the door of a gallery you’ve never visited before, or try our free trolleys and a whole new neighborhood. This month we will have one traditional red trolley and one new air conditioned yellow trolley for the evening. Closed - Duncan McClellan Gallery – 2342 Emerson Avenue South – Hot as Glass! A contemporary glass group exhibition featuring works by the Hottest artists working in glass today. Glass blowing demonstration begins around 6:15pm. Live jazz with the Henry Ashwood Jazz Project from 8pm. Closed - The Studio@620 - 620 First Avenue South - LOVELIFE: Leslie Joy Original Views Around the World and at Home. An exhibition of photography that takes the viewer on a whirlwind tour to Cuba, California, Indonesia, Bali, Alaska, Vancouver, Amsterdam, Paris, London, Miami and locations here at home. An avid world traveler, Leslie understands that the meaning of life lies in the journey. With appreciation for the beauty that surrounds her, she seeks opportunities to make a difference and inspire others. Leslie Joy original photography focuses on details, destinations, art, nature, fashion and objects of desire. Closed - Florida CraftArt - 501 Central Avenue – Opening Reception: Annual Members’ Show. Meet the artists, art lovers, and other members during this celebratory evening of contemporary craft at its finest. This juried exhibition of original artwork showcases the best of handcrafted work by our members. Discover artistic home accents and furniture, fine jewelry, wearable art, ceramics, gifts and more. The ultimate shopping experience with thousands of original works of art including fine jewelry, ceramics, glass, home décor, fashion and more. Closed - St Pete ArtWorks - 635 Central Ave - Featured Exhibition: Mind Over Metal. Crafted steel sculpture by Scott Rogers. > Casey McDonough & Kenny Jensen: (in/af)finities. Two artists probing the analogous and infinitely related structures of our universe, from the microcosmic to the macrocosmic. > Bryce Hammond: Structure. Hammond's work documents evidence of human interactions in man-made environments through observation of transient poverty culture. Robert Ross's paintings reveal the alluring geometry of alleyways, construction sites, rooftops and other overlooked places, while Nin McQuillen's intimately-scaled sculptures in aluminum, steel, bronze and brass are a synthesis of line, shape and surface that evoke the harmony of standing stones and totems. Shown together, these works share a passion for creating dynamic compositions from complex geometric relationships.